I love when people I follow over on Instagram do those #introductionfriday posts, do you? It’s an opportunity to introduce yourself to new followers who may not be abreast of all that you are and do. Many people like myself have taken the chance to “reintroduce” ourselves and all of the new things going on in their life. I’m planning to do another Introduction Friday post on social media soon to make sure that I proudly share my new business. You get it first though, if you are reading this. Hello, I’m Andrea Fenise, a serial creative entrepreneur. I launched my creative agency, AFLD Creative, last summer. I intentionally emphasized serial creative entrepreneur because it has how I birthed my agency. Allow me a few sentences to tell you how and why I started this business. Back in 2009, I opened an accessories and shoe store named Style Junkie. Out of necessity, I managed every single aspect of the business. Buying, merchandising, accounting and even graphics. I knew nothing about graphic design. I worked with a really great graphic designer but the store’s budget was so tight due to trying to stay afloat, I had to learn the basics of design and marketing myself. There is one important lesson I learned while running the store, presentation is key. I am obsessed with visual presentation and packaging of products. It makes a significant difference in influencing the customer to buy. As years passed and I started new ventures, I have always kept in mind how critical it is to tell your brand’s story visually. So whether I was styling a client for wardrobe, writing and shooting editorials as a freelancer, or designing graphics and websites, visual storytelling was my main focus. After working at an advertising agency, I knew I could launch an agency of my own with a unique perspective. And, WE HAVE AFLD Creative!!! The studio unites storytellers, brand builders, strategists and passionate creators who share a zeal for the unique, multifaceted process of building a lifestyle brand. We layer photography, fashion & style, storytelling and design to create unique brand imagery that adds attention to detail to your brand. When I planned the business, I had my goals set on offering services in which I was passionate about that I knew would make a difference in a brand’s future. After years of sewing and knowing there was so much more in me creatively and professionally, AFLD Creative has given me so much joy. Discovering what I am innately great at and refining natural talent with technical skills has helped me evolve into a much better businesswoman. What I love the most about the agency’s work is seeing how it makes a difference for other women entrepreneurs. Every project means something special to me. I can show women the importance of beauty and telling an impactful visual story with branding that has the potential to change their lifestyle. 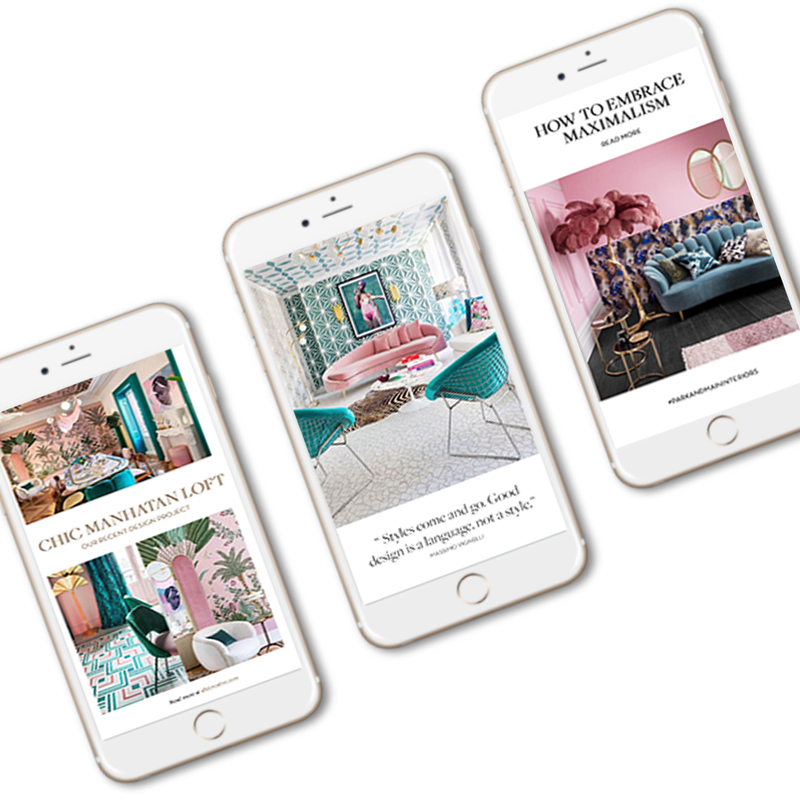 One of my recent projects is a package of digital products that help creative businesses and influencers project a cohesive and branded image in social media stories. I have launched templates like web design and Instastories that I feel will help elevate every brands identity. In celebration of the launch, I am exclusively offering a 10% discount on my newly released Studio 80 Instastory this weekend only. Enter ANDREAFENISE at checkout to get the discount. Thank you for following along my journey you guys. It means so much!